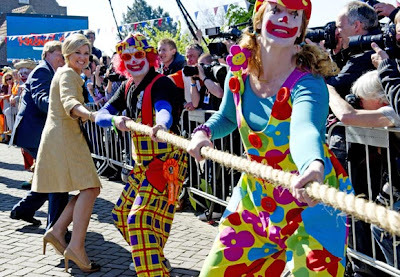 Crown Princess Maxima joins the tug-of-war competition. The orange fever swept the country during the Queen's Day. 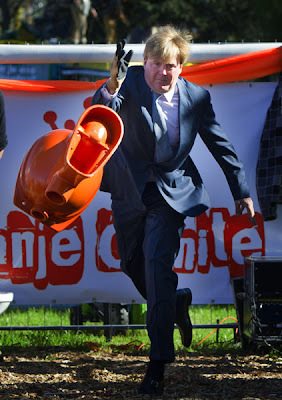 All over town, vendors lined the street selling all kinds of items, while the toilet throwing contest, a tradition began in 2000, saw Prince Willem Alexander beat his younger brother Prince Constantijn. 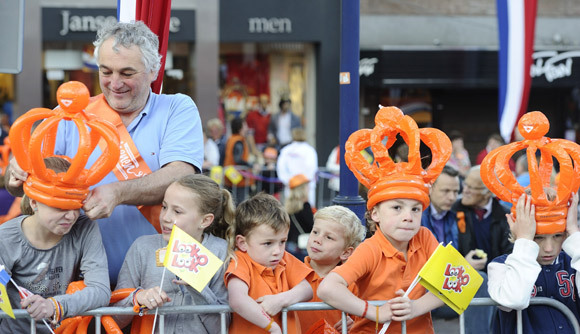 Meanwhile, Crown Princess Maxima joined the crowd in the tug-of-war competition. 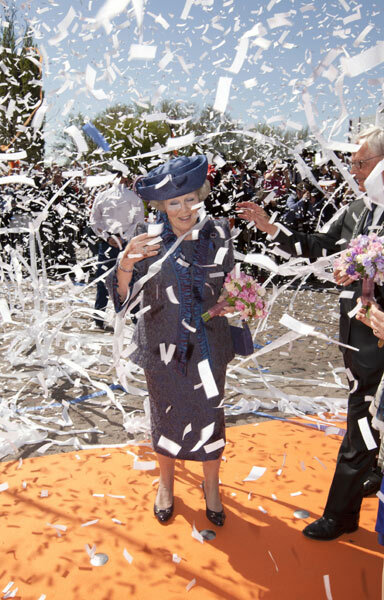 Queen Beatrix was born January 31, although her official birthday is celebrated every April 30th, her mother, the late Queen Juliana’s birthday. When she succeeded as Queen, she retained that date in honor of her mother as well as for a more practical reason due to the freezing weather of January.